My friends Stacy and Chris are the official Nothing-in-the-House Texas correspondents (though let's not forget our friend Shannon! 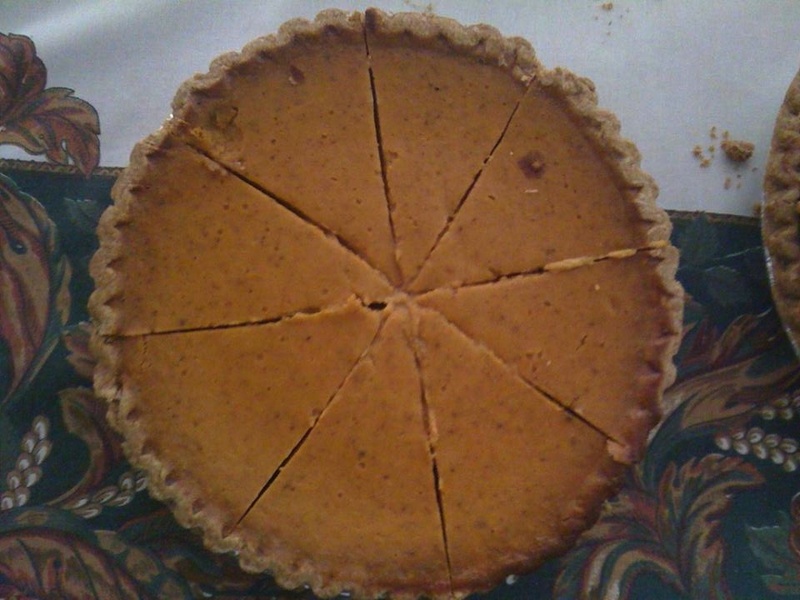 ), always sending photos of pies they eat and bake. 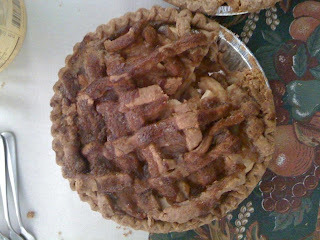 This year, Chris sent me three pics of Stacy's Thanksgiving pies-- all fall classics of pecan, apple, and pumpkin. 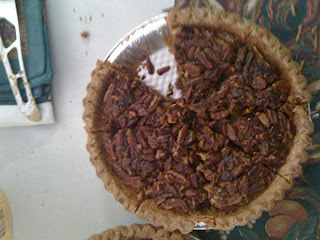 The pecan pie recipe is from Homesick Texan, though Stacy likes to toast her pecans first for added flavor. 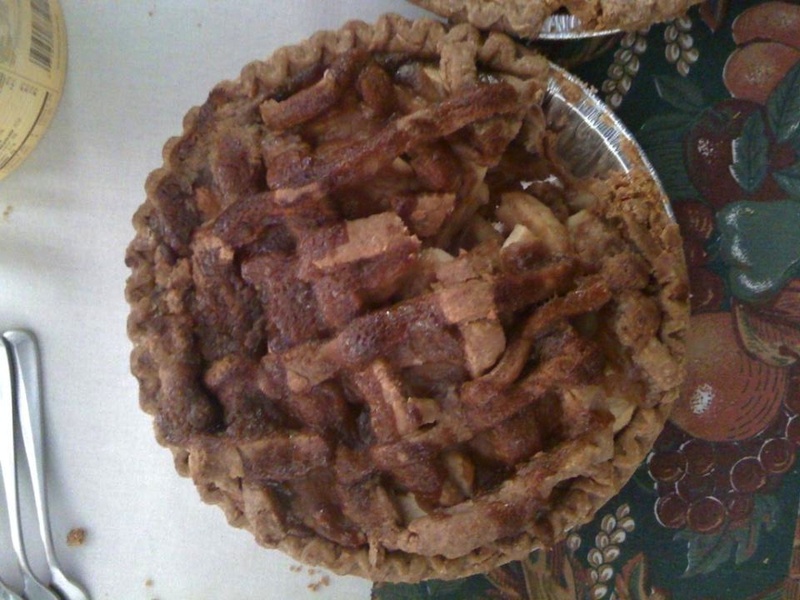 The apple pie was "grandma" style, with Granny Smith apples and Grandma Ople's recipe, which calls for pouring the sauce/filling over the apples as opposed to mixing the apples with the sauce. Stacy and Chris also had another pie at this year's Thanksgiving--cutie pie Hudson, who helped roll out the crust. 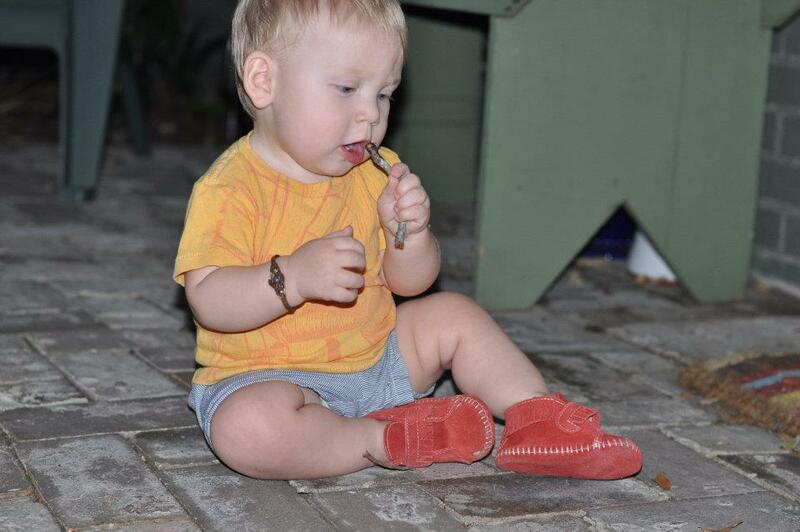 Baby's first pie crust--looks like he did a great job!